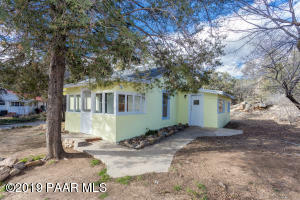 7835 E Larkspur Ln, Prescott Valley, AZ 86314 will be listed for sale Thursday 7/19/2018 for $249,000. This 3 bed 2 bath home has been updated throughout! New A/C, new ductwork, new appliances, new floors, new bathrooms, new plantation shutters… Don’t miss your chance to own a turnkey home in Prescott Valley Arizona for under $250k!